Measurements: Various Seed Bead Sizes. Characteristics: Various Shapes including Rounds and Bugles. Color: Mix of Seafoam / Green. Find more Seed Bead Mixes in our shop! 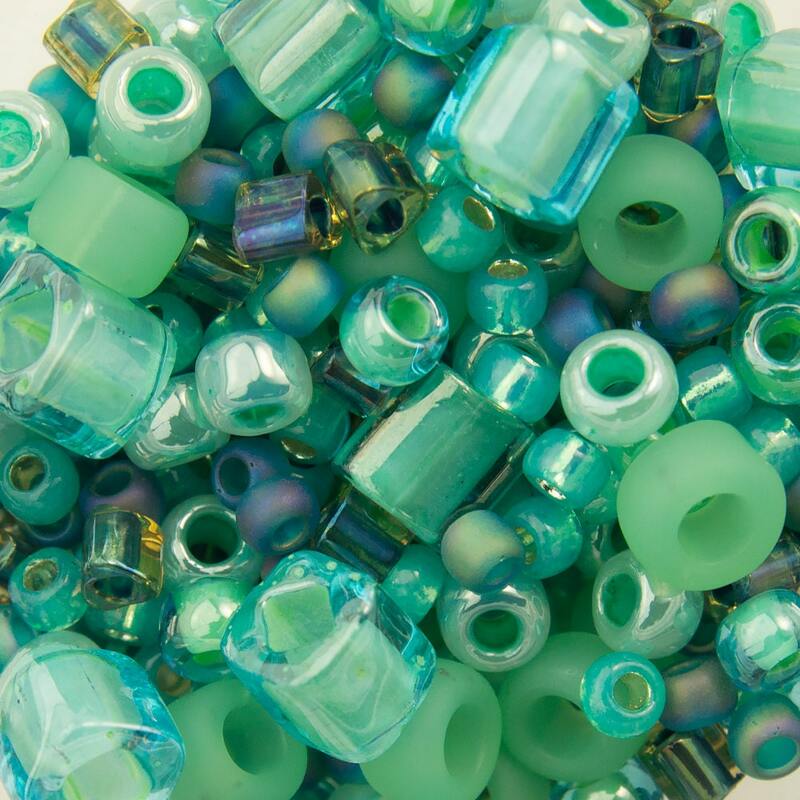 beautiful seagreen, lovely with seaglass. Lovely colors, shipped very quickly. Thank you! gorgeous mix. much prettier than the pic.